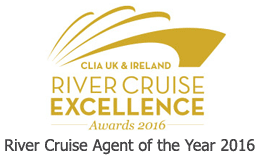 Call us on 01756 706500 (outside UK +44 1756 706500) for independent, knowledgeable advice from our team of Cruising Holidays experts. We can book the right cruise for you at the best price! We are open Monday to Thursday 9am to 7pm (09.00 to 19.00), Friday 9am to 5.30pm (09.00 to 17.30) and Saturday 10am to 4pm (10.00 to 16.00). If you are outside the UK you can use the World Clock to check UK time. Order your shortlisted cruises into priority order and submit the short form below. We will contact you shortly with independent, knowledgeable advice from our team of experts and help you book the right cruise at the best price. Submit the short form below with as much information as possible in the ‘Your holiday requirements' box. We will contact you shortly with independent, knowledgeable advice from our team of experts and help you book the right cruise at the best price.